Truly one of the highlights of this Ramzan was the television serial Suno Chanda which aired on Hum Tv every night. The serial took Pakistan and Pakistani worldwide by storm and there was little else anyone could talk about. Farhan Saeed, who gave a stellar performance as Arsal Jamshed Ali, one of the lead characters of the show took to social media to thank fans and viewers worldwide for appreciating the show and showering their love. “Suno Chanda is coming to an end, I want to take a moment and thank all of you for showering so much love to my character Arsal. I knew people would like it when I started but I didn’t know it’ll be loved this much!,” he wrote. 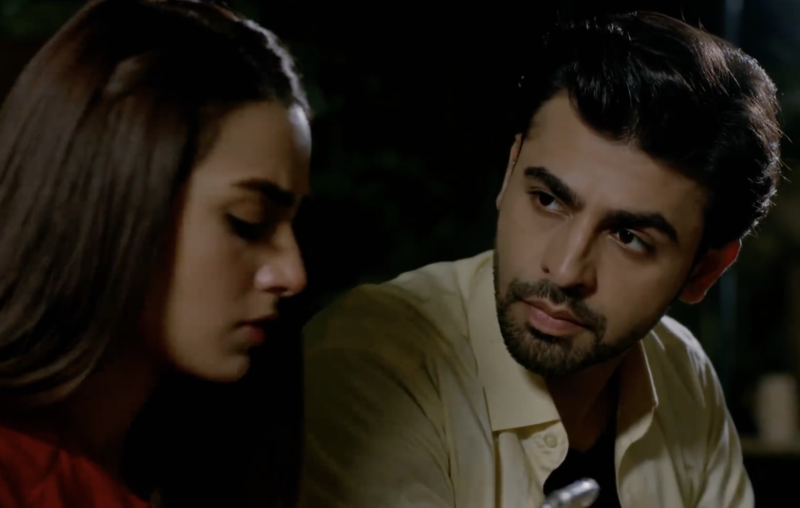 He also thanked the director, his co-star Iqra Aziz and the rest of the team behind Suno Chanda detailing on the hard work that went behind the making of the show. #SunoChanda is coming to an end, I want to take a moment and thank all of you for showering so much love to my character #Arsal, I knew people would like it when I started but I didn't know it'll be loved this much! All you see on screen is not all it is, there is a lot that goes behind it like A LOT! For all of you to see it on time our entire team worked day and night, we used to shoot it a day before you see it because an episode everyday is not an easy job and that too 30 of them! ( would be 30weeks if it was weekly) . Nothing is possible without a brilliant team and the most important part of that team is the captain, the director! I want to thank @aehsuntalish on behalf of #sunochanda family ( which includes everyone around the globe who loved SunoChanda) to provide them with such good, family entertainment, which was SO much needed! I want to thank @iiqraaziz for being a great actress she is, a brilliant Co actor and great energy to be around, you were awesome! The entire cast was brilliant, and everyone behind the camera, all of them! Thank you! Thank you all for loving #SunoChanda , #arsal and #jiya! We too would also like to thank Farhan and the rest of the team for giving us such an entertaining family comedy which provided the perfect post-iftar watch and lighted up our television screens. Along with Farhan, the serial also features Iqra Aziz, Nadia Afghan, Nabeel Zuberi, Mashal Khan, Farhan Ali Agha, Samina Ahmad, Sohail Sameer, Farah Shah, Mohammad Ahmed, Tara Mahmood, Adnan Shah Tipu, Mizna Waqas and Sami Khan. Suno Chanda has a rating of 9.5 on IMDb.